I try not to be a makeup hoarder, but there are just too many pretty things! As a beauty blogger, I get sent a lot of makeup, and an Ulta just opened near me, so I've been trying a lot of new brands. If I don't keep my stash organized, I forget about products and don't use them. I like to mix up the products I use to create new looks, so I really do need quick and easy access to all of them. I used to just use a few drawer organizer baskets, but that doesn't work for me anymore. I used to have a master bath with several drawers and counter space, but the farmhouse only has one bathroom with zero storage. Everything that I have has to fit into a container or I can't store it. 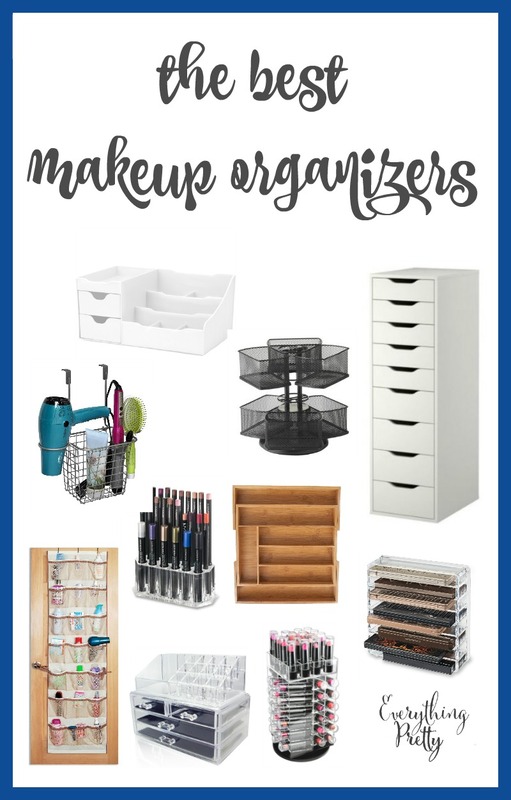 Here are my picks for the best makeup storage for any budget. Links in this post may be affiliate links, which means I earn a small commission from sales. 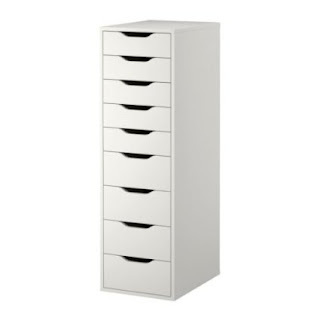 The IKEA Alex drawer system is a very popular makeup and polish organizing system. 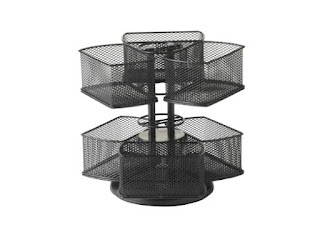 They are inexpensive, sturdy, and look great with any decor. You can also label the drawers to really stay organized. If you need something a little bit smaller, a drawer organizer will work well. You'll be able to keep things separated and easy to find. I really like the expandable organizers because you can use every square inch of space. 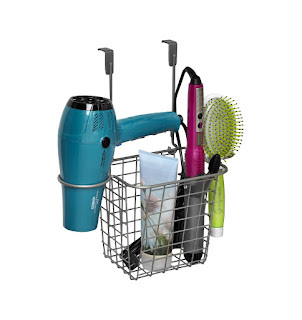 The cosmetic carousel is perfect if you have a vanity or otherwise have countertop space. You can fit your makeup and tools in this and spin to find what you need. If you're like me and lack storage space, an over the door organizer is perfect because it takes up almost no room. You can fit a lot of small to medium sized products in the pouches, but you might want something else for smaller items. 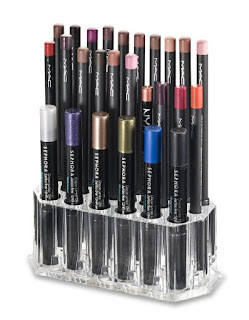 The pencil storage will allow you to see all of your colors so you can mix and match to your heart's content without missing the perfect opportunity to pair two products. 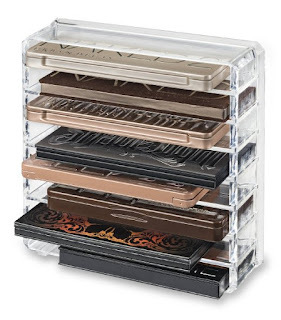 For the girl who loves palettes, this palette organizer keeps them flat and organized while saving drawer space. 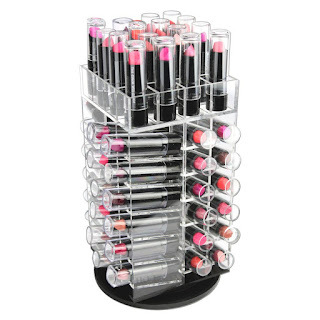 Never lose your favorite lippie again with this rotating lipstick organizer. This is another great one for those who are short on space. 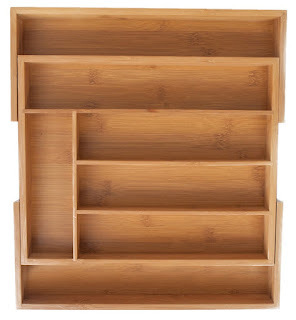 This over the cabinet door organizer slips inside your cabinet for a little extra storage. 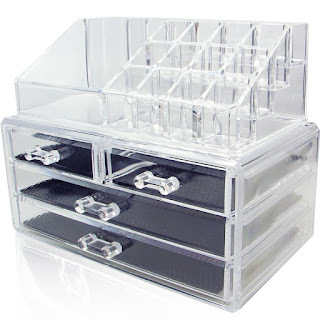 With drawers and cubbies on top, this acrylic makeup organizer will hold a lot of product in a small space. 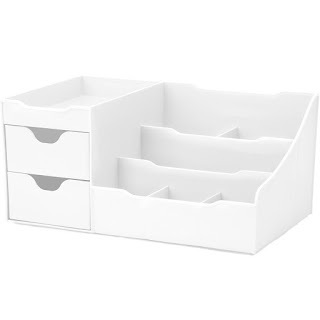 This desktop organizer goes well with all decor, and it helps hide some of your products if you're going for a neater look on your desk or vanity. Did I miss any of the best makeup storage? Share with me what you use and love! Salt Scrub vs Sugar Scrub - Which is Better?